Families and outdoor enthusiasts will find no better way to experience nature and proximity to adventure than by staying in an RV, travel trailer, or tent in one of the nearby Whitefish Montana Campgrounds. 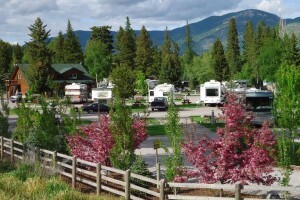 In addition to nearby National Forest and primitive wilderness campsites, you'll find that Whitefish Montana Camping is easy at these RV parks and private campgrounds. 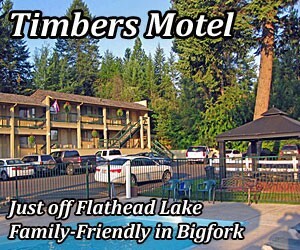 Enjoy amenities like electric hook-ups, showers, laundry, sewage dumps, great location, and much more on these well kept properties in Whitefish MT. Full-hookup options w/premium cable channels. Well landscaped, close to Flathead River & Lake, 20 mins to Glacier Park. Plus cabin rentals and fully-stocked store & meat shop. Set on a quiet wooded site and consisting of 51 full hookup sites. 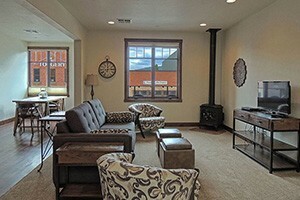 Pets welcome and extras include full laundry facilities and cable TV; tent sites, too.